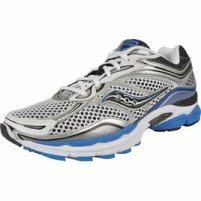 The first port of call for all runners is to choose a suitable pair of trainers. To more experienced athletes, these usually serve as footwear to use during warm-ups and slower training sessions, but to beginners these are recommended to be worn during all exercise, as their cushioning helps to prevent injury and allows for the athlete to build up sufficient foot strength to be able to use more demanding footwear such as racing flats. 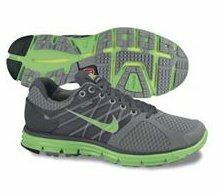 The Nike Lunarglide+ 2 SS11 is a good choice for any runner, and is a long-lasting shoe that comes at a very reasonable price. Its midsole is designed to adapt to the wearer’s individual running style, and its light weight and seamless build also allows for comfort and a secure fit. This shoe provides the wearer with a lot of cushioning and shock absorption with each strike of the forefoot and rearfoot, and comes with a midfoot arch strap to help keep the foot in place and prevent any slippage that would result in blisters.